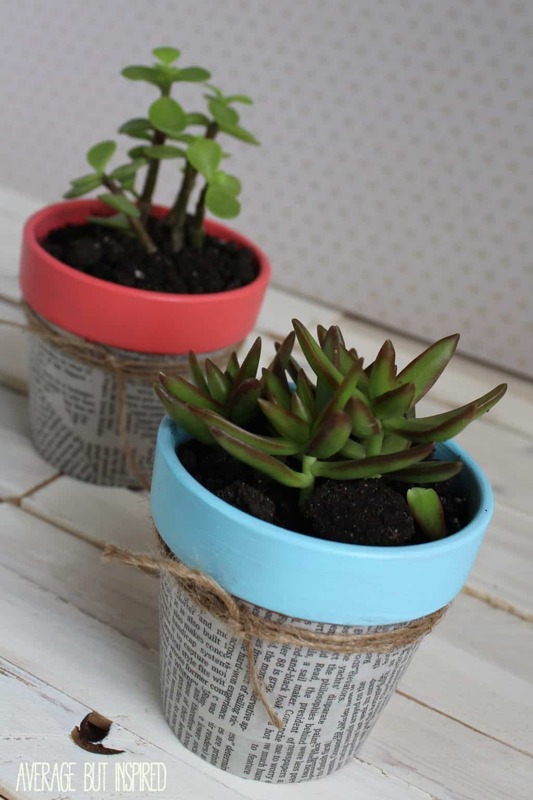 Two things I love (like a whole lot), are succulents and super easy craft projects. So when the two of these things came together in this project, it made my little heart extra happy. So this project came about because I had these cute little succulents sitting in very classy flower pots. 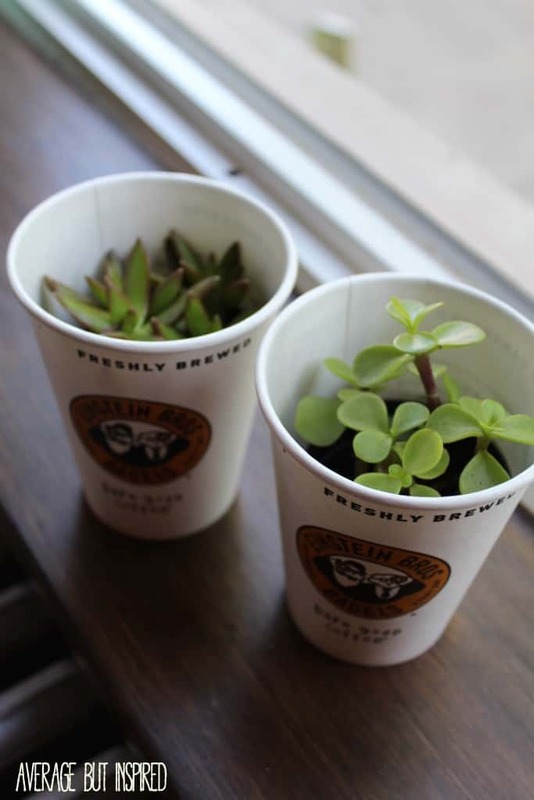 As much as I liked this upcycled coffee cup planter idea (so clever! 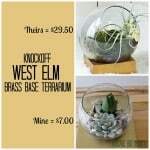 ), I thought it would be good to give my little succulent friends a home with a bit more curb appeal. 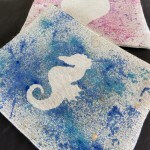 So I grabbed some supplies I had on hand and got to work. 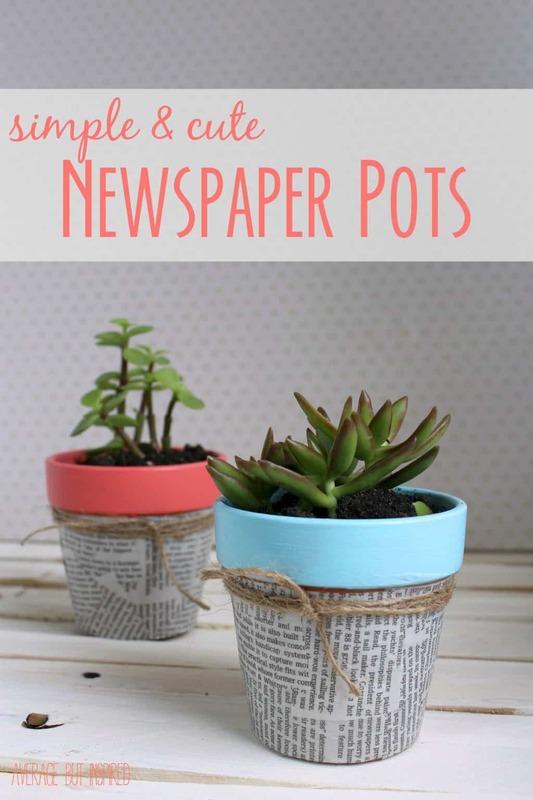 First, cut up newspaper into various shapes and sizes. 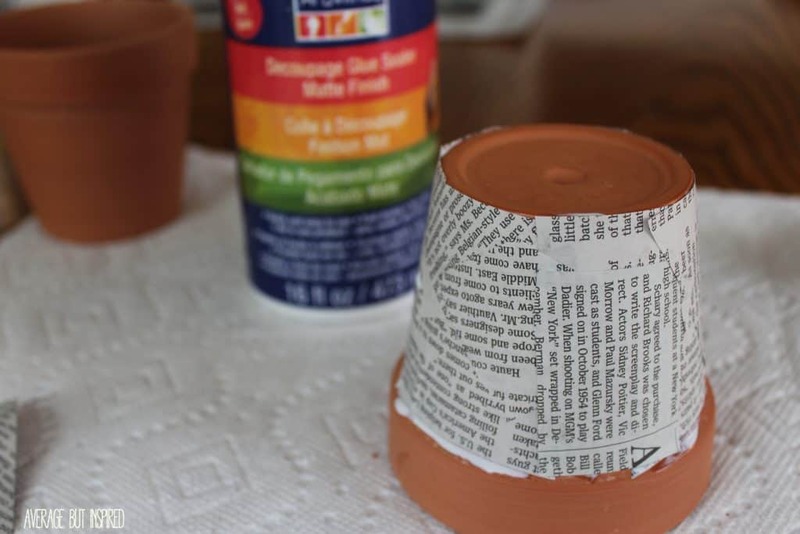 You may want to skim the text of the pieces you’re cutting to make sure you’re not going to be decoupaging articles about murderers or other unsavory news items to your cute little pots. I chose to cut up articles about fashion and booze. 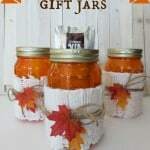 But to each his own. 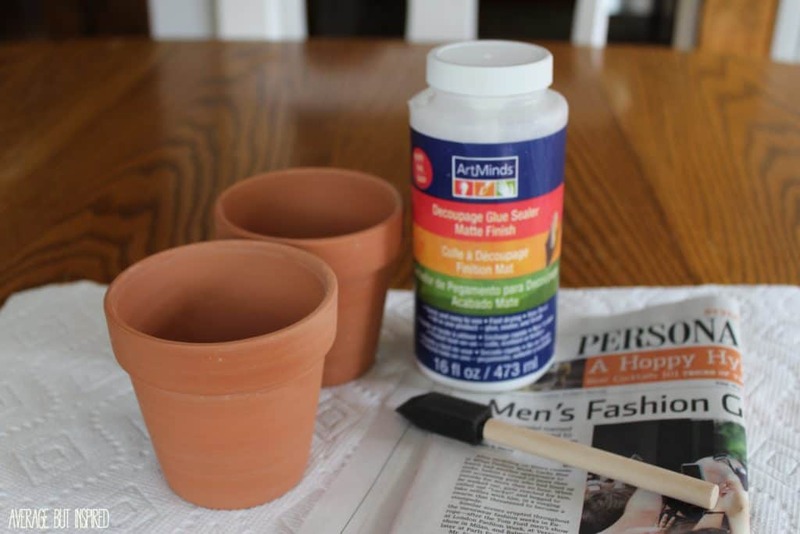 Next, apply a thin layer of Mod Podge (or other decoupage sealer) to the terra cotta pot. Gently press pieces of newspaper all around the pot. 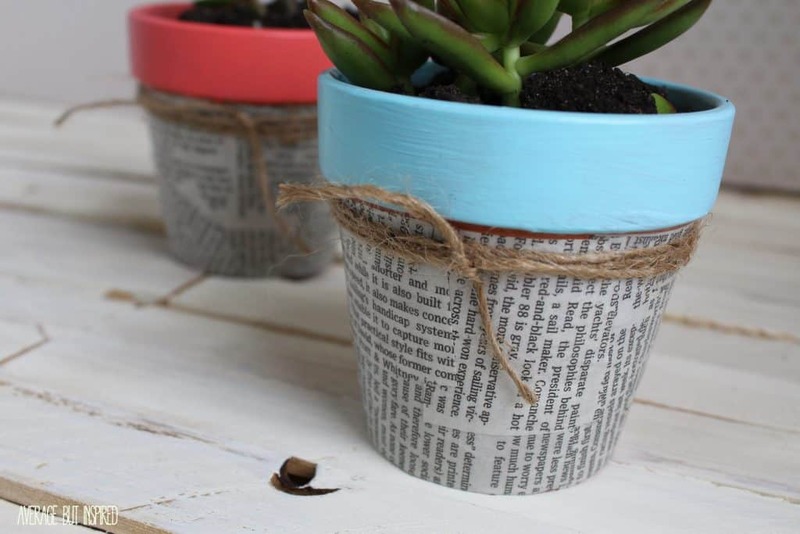 If pieces of newspaper are slightly overlapping, make sure to put a thin layer of Mod Podge on the under layer of newspaper. 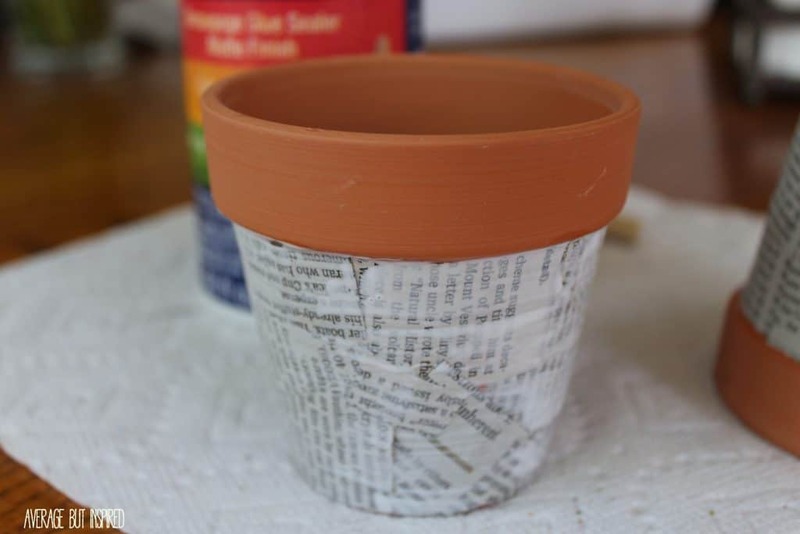 Once the newspaper has dried on the pot, apply a thin, even layer of Mod Podge to cover all of the newspaper. 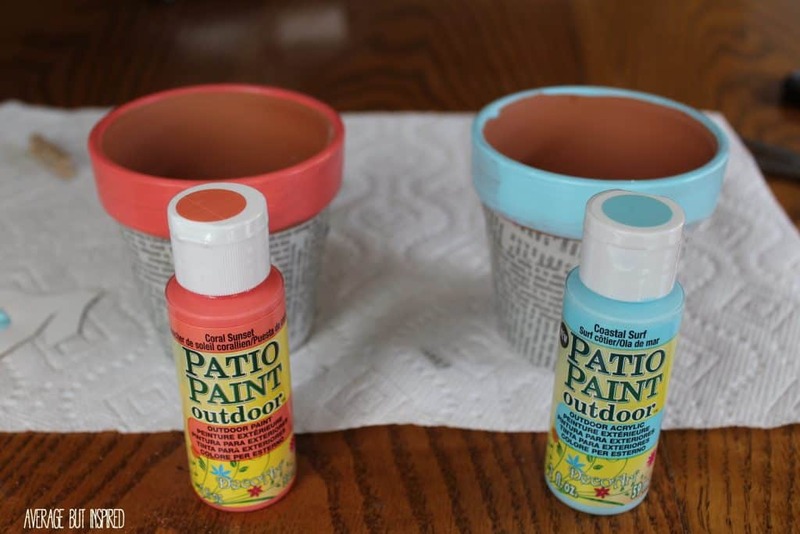 After the topcoat has dried, paint the rim of the pot in any color you like! 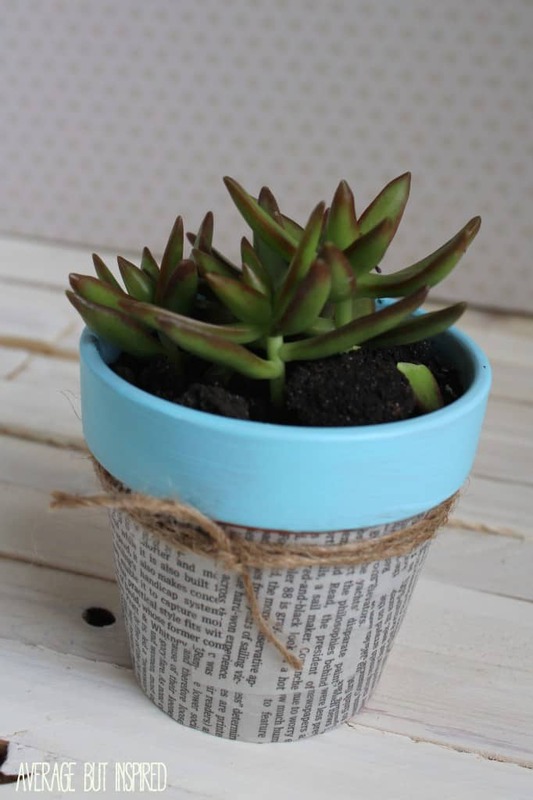 After the paint has dried, tie a little twine or ribbon around the pot and you’re ready to plant your flowers or cute little succulent friend! 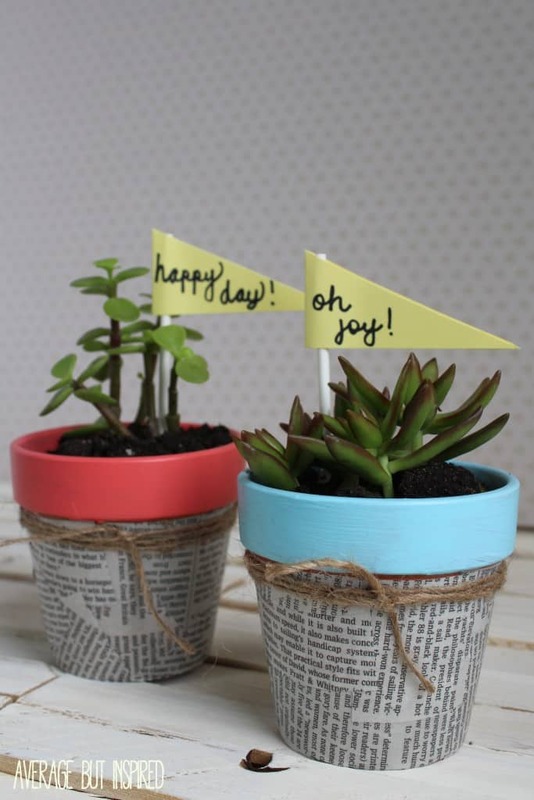 And if you want to be extra cute, make a little paper pennant and pop it in there. 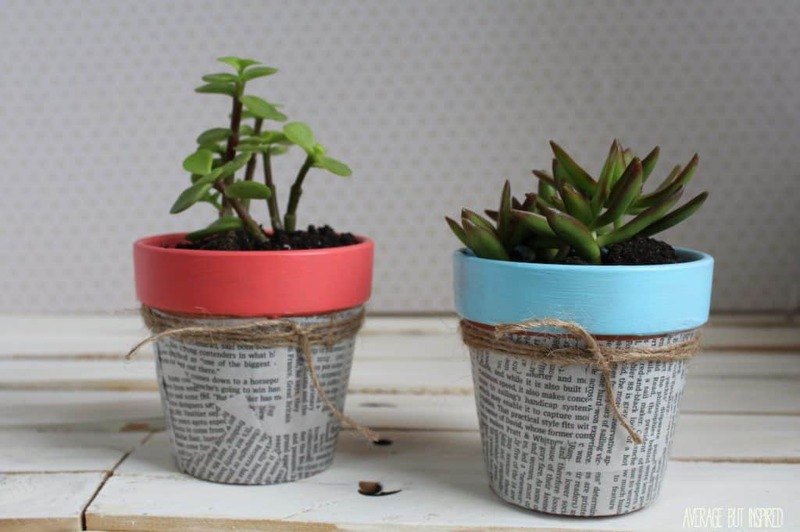 This is a fun way to use up a newspaper that would otherwise be tossed in the recycling bin, don’t you think?